Click on the logo to claim your voucher as long as it lasts! Re: Good news everyone! Free movies as long as it lasts! I was really looking forward for this. Thanks for sharing! I'm currently watching the latest Star Trek! May the force be with us! 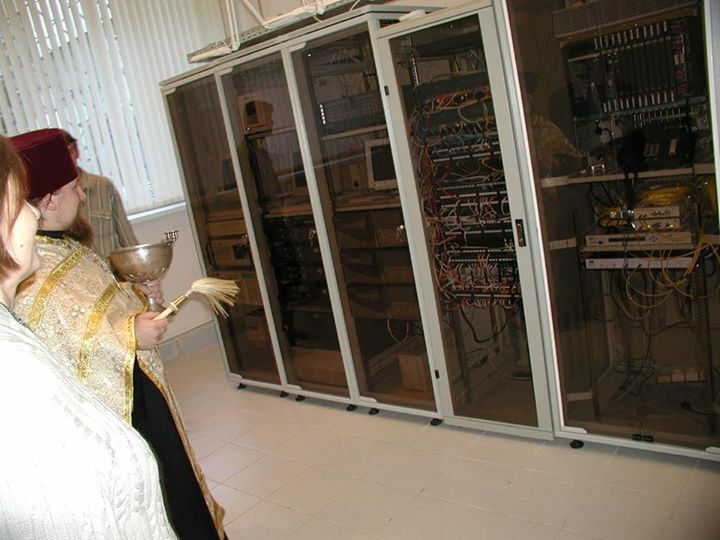 Best read with the caption: "/etc/init.d/daemon stop"
It's difficult to translate what he does, but over here priests "bless" various items: cars, apartments, network devices, airplanes, tunnel boring machines, etc. The blessing process involves throwing holy water on said object. Who needs antivirus after this? What did I just read... I'll advise my customers to throw out RAID10 and invest in SAINT5E!